I have a Halloween obsessed four year old, so when the people over at Party Pieces asked if we'd like to feature some of their amazing Halloween range here on the blog, we jumped at the chance and decided to throw Bert his first ever Halloween party! Bert's birthday falls in late August, so he never gets to celebrate his birthday at school with his friends and because most people are usually on their summer holiday at that time of year, we've never thrown him a traditional kids birthday party - usually opting for a family/friends picnic or barbecue or a family day out at a zoo or farm. We thought it would be lovely for Bert to experience his own special party, especially as he has just started full time school and now has a lovely little group of school friends. We hoped this party would be a great way to get to know each other better and for the parents to socialise too! 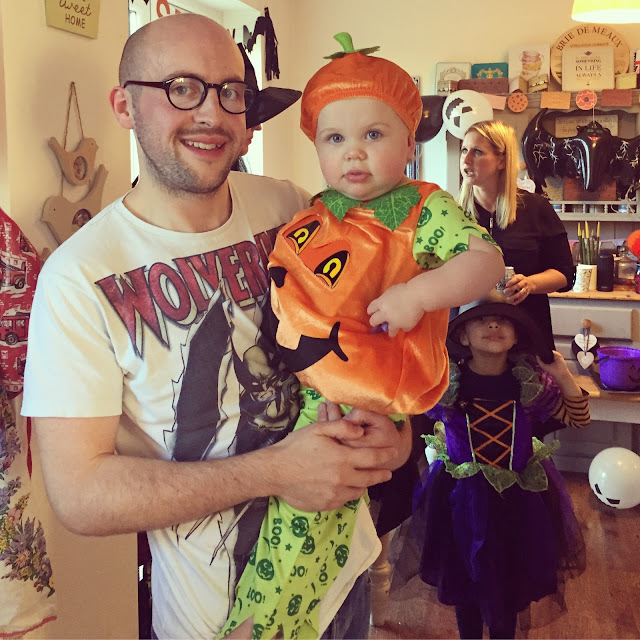 When we told Bert we were throwing him his very own Halloween party he was SO EXCITED! His little smiley face when we gave out the invitations to his friends was priceless. Now anyone who knows me well, will know I love a "theme" ... hosting is one of my favourite things to do - in another life I think I must have been an events or wedding planner - because I love nothing more than diving in full steam ahead and running with a theme. Bert's Halloween party was to be no exception. 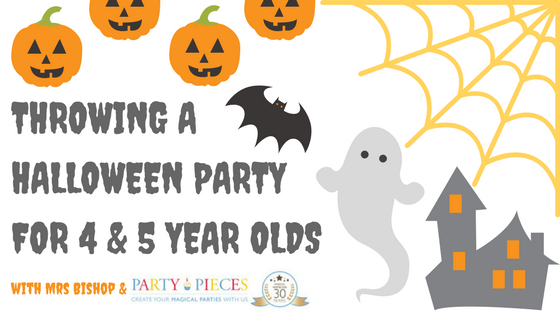 When planning the party I was acutely aware that I was dealing with a small group of 4 and 5 year olds, who, however much they might say they love Halloween, are probably not ready for an absolute scare-fest, so I wanted to create a fun party atmosphere that was Halloweeny without scaring the bejeezus out of them. 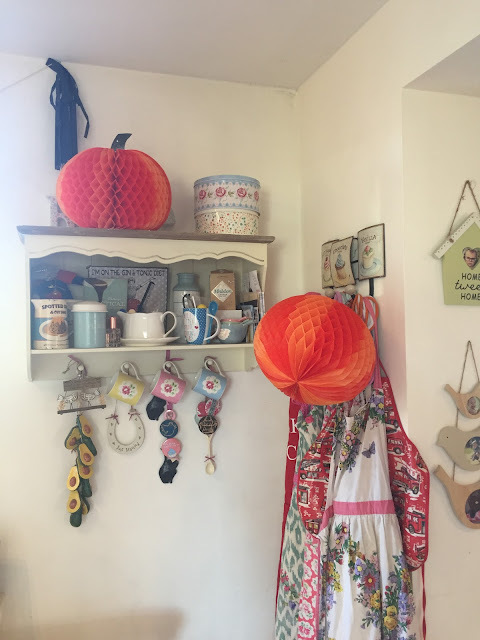 I loved the Pumpkin Party collection from the Party Pieces range, as they were orange, black and white in theme and concentrated (as the name suggests) on pumpkins rather than anything too spooky! So I decided to opt for lots of this collection for our party. I hope I can provide you with some inspiration for creating a halloween party for smaller children - obviously you can go the whole hog and throw a full on Halloween party like us, but even just a Halloween tea/dinner using some of the buffet ideas would go down a treat with your little ones, I'm sure! The main 'party room' for us was our kitchen-diner, so we re-arranged the furniture creating a big space for the kids to play games and have a picnic style lunch, moved our large dining table up against the patio doors for the buffet, and arranged seating throughout the kitchen/diner for the adults. Our living room became the 'safe space' for the babies and toddler siblings of the party guests, along with our Connie too - we made sure all the toys in the living room were baby and toddler friendly, had CBeebies playing on the TV and added a few decorations, some balloons and some inflatable Halloween items to boot. 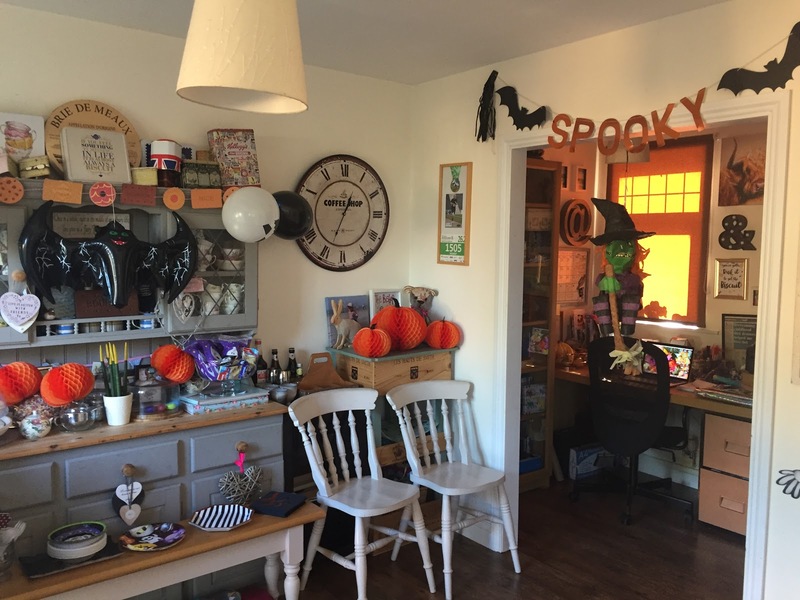 In the dining room and kitchen we hung 'SPOOKY' bunting, placed honeycomb tissue paper pumpkins throughout and added an inflatable bat to the dresser. The main form of decoration and the centre piece to the room was the buffet table full of Halloween themed food and of course, lots of pumpkins! 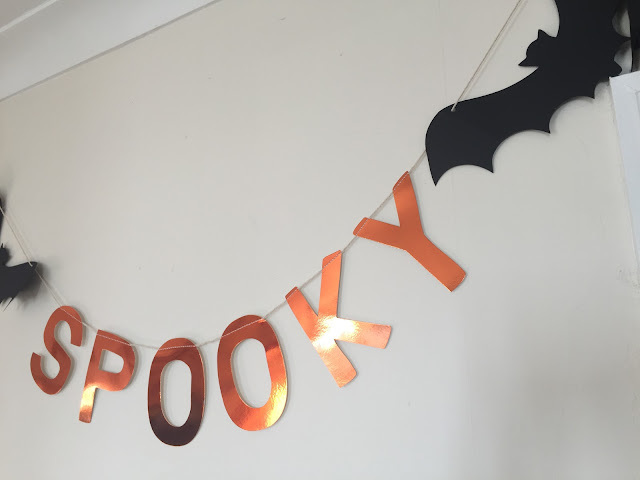 We also added some Halloween balloons which we added to Party Pieces decorations, we found the balloons in Poundland. 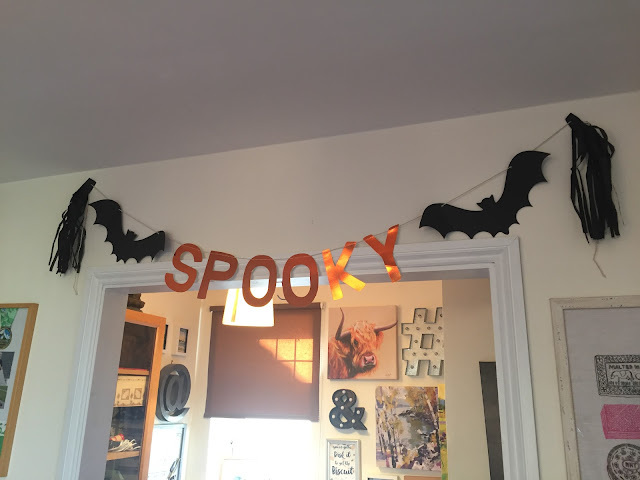 We tried to keep the decorations simple, non-scary, and easy to put up and bring down, because this party needed to be practical as well as effective. 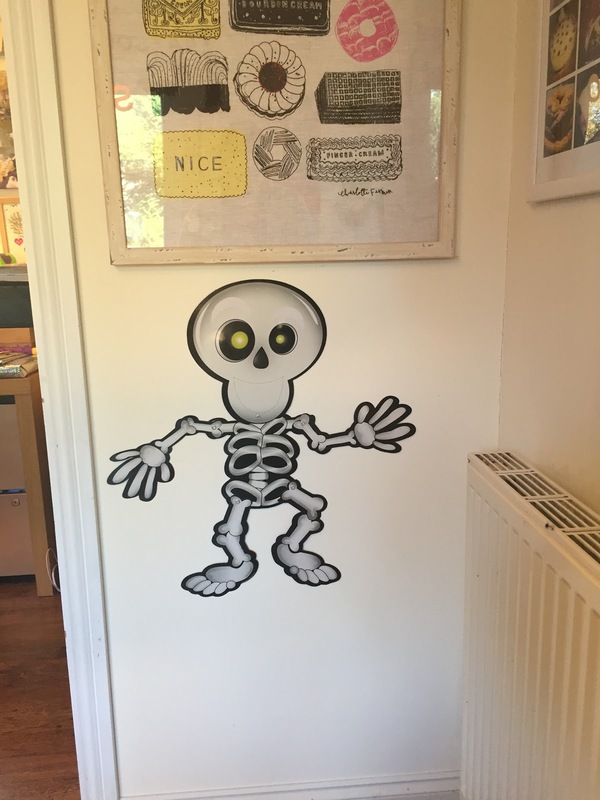 It fell on the last day of half term and as a mum of two, who runs my own business from home, I needed to be realistic about how much time I could actually spend on creating this party. In fact, that's the reason I love Party Pieces so much - the quality, price and effectiveness of their party ranges are so good - it's a case of maximum effect for minimum effort, which is a major win for busy parents, eh? As a self-confessed foodie, the buffet element of the party was particularly important to me. I like to make sure there's plenty of food and drink for everyone, and I also like to think about the ages I'm catering for and the types of food they're likely to enjoy. I worked hard at putting together the buffet menu, trying to theme the foods as much as possible. All parents know that you can get kids to eat pretty much anything if it looks fun - all hail the cookie cutter for making sandwiches interesting! I used the Party Pieces bat shaped cookie cutter to make the bat shaped items, which at £1.49 (now reduced to £1) per cutter, was a brilliant find > perfect for theming all sorts of buffet foods. I used shop-bought gingerbread men biscuits (a whole tub of 30 from Tesco) and decorated them using a Cake Decor White Chocolate Writing Pen to ice skeletons onto each one, then added chalky sweet eyes (also from Cake Decor) and I was absolutely CHUFFED with the end-result. A really good life-hack to make your life simpler when it comes to children buffets is to buy pre-made whenever you can and then pimp it up yourself using simple decorations. This principle also works with fairy cakes, whole cakes, biscuits, tarts etc. The puking guacamole pumpkin was a huge hit, and again such a simple element to put together - the boys carved the pumpkin, we sat him on a throw-away silver tray* and then scooped on four tubs of shop-bought guacamole. We used a plastic black Witches cauldron to hold the tortilla chips for dipping, and drew a pumpkin face on a pre-bought jar of nacho cheese dip too, as a second dipping option. *these are my saviour at kids parties - buy them in bulk, put all the food out on them, then throw it all away at the end, hugely reducing the amount of washing up/dishwasher loads you need to do. I got the idea for the cake from Pinterest and I just loved the concept. I wanted to create a big party cake (mainly for the adults to enjoy) and Bert (as always) requested a chocolate cake. Now after many years of trying to perfect a squidgy/fudgey chocolate cake recipe, I'm still yet to 'crack it' - my homemade chocolate cakes are always a little disappointing, not chocolatey enough, a little to dry in texture - so this time I opted for using the Betty Crocker Devil's Food Cake mixture, to which you just add oil, eggs and water. It makes by far the best chocolate sponge you will ever eat, and again just takes some of the hassle out of it, meaning you can spend more time on decoration. The decoration for this cake is red buttercream, seedless raspberry jam (to sandwich the sponges together) followed by a generous outer coating of red buttercream (the messier the better, it's meant to be blood & guts! 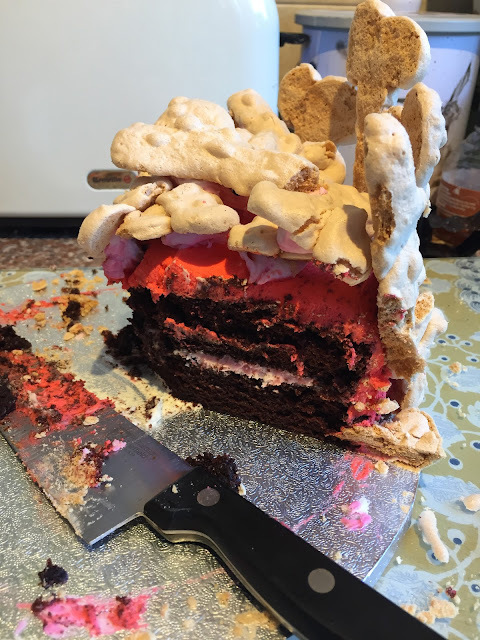 ), the finishing touch to the cake is covering it in homemade meringue 'bones' stuck on with more butter icing. Although this part of the cake making process took a little more work, it was absolutely worth it as the end result was super! The kids and the adults all loved it and the whole cake was pretty much demolished by the end of the party. Giving the overall effect of the buffet a massive helping hand was all the amazing tableware from Party Pieces which included: black table cover, Pumpkin Party striped plates, Halloween emoji plates, orange foil and black bat napkins plus green and purple plastic pumpkin buckets which we used to house crisps and the Casper marshmallows. I think the overall effect of the buffet was great, we added our own carved pumpkin with cinnamon and orange scented candle burning inside, to ensure the house smelt divine for all our guests, along with some really cute smaller squashes we found in Aldi - all adding to the pumpkin theme. Most of all, I knew it was food that was simple enough for the babies and toddlers, fun for the 4/5 year olds, as well as being tasty enough for the adults to enjoy too. For drinks we also kept it simple - as it was a lunch time party we stuck to tea, coffee, water, orange squash, Diet Coke or lemonade for the adults. For the children however, we were sent these amazing glass pumpkin drinking jars - complete with black and orange stripe plastic straws. These were definitely my absolute favourite part of the partyware from Party Pieces and I still cannot believe how good value they are! They retail at only £1.99 per glass and at the moment they're reduced to just £1 each in the Halloween sale, so quick - grab some while stocks last!! 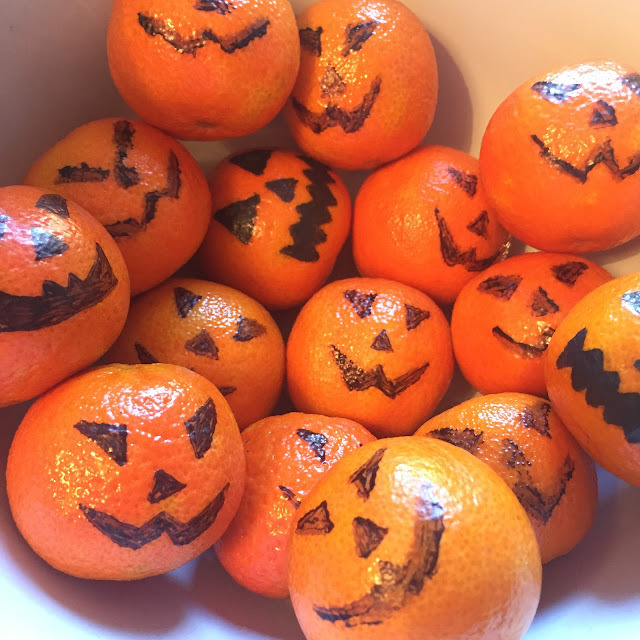 The kids absolutely adored drinking from them - we filled them with orange squash so they looked even more realistic and we let each party guest take theirs home at the end of the party as a little extra party favour. Now obviously, it's important when holding a themed party that everything looks good and people are fed and watered, but you also need to remember that you actually have to entertain everyone for the entirety of the party, and that isn't always easy, especially with 4/5 year olds who aren't yet old enough to exclusively amuse themselves and are just learning the beginnings of playing games, winning and losing, taking turns etc. Luckily, Party Pieces sent us some really cool extras to make sure our party has substance as well as style! 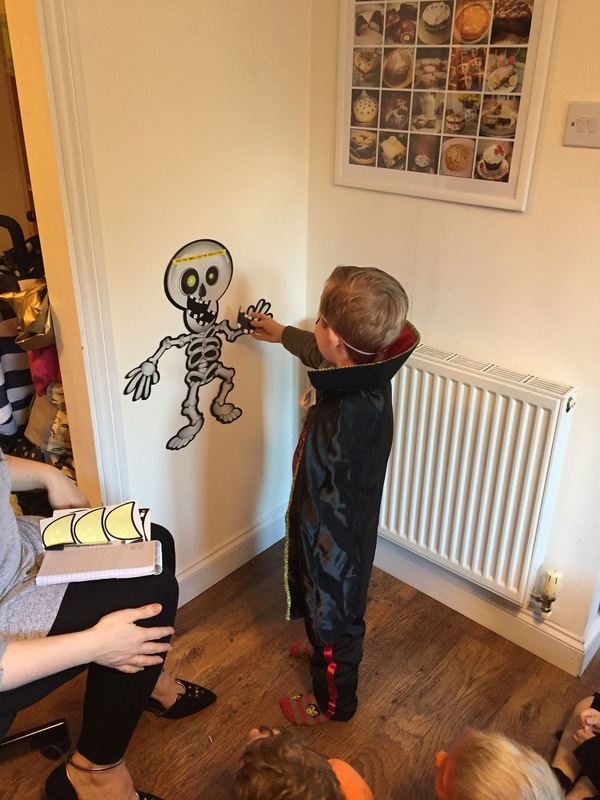 Of course, we did the traditional party games such as pass the parcel, musical bumps and musical statues but thanks to Party Pieces we were also able to play Pin the Smile on the Skeleton, an Inflatable Witch Hat Ring Toss and do a Wicked Witch Piñata. The games really helped to add structure to the afternoon - we interspersed games with some disco dancing to a Halloween playlist (thanks husband! ), some free play and a 'Best Costume' prize giving (as chosen by Bert). Add in the eating and drinking and before we knew it the three hours had passed in a blink of an eye! Of course, for the children the piece de la resistance was the Piñata. This is the second time we've used a Party Pieces piñata and I think they've definitely cemented themselves as a must have part of any future party we hold. Not only do they look fantastic so add to the overall theme as a focal point and decoration, but there's something about whacking something as hard as you can with a wooden stick that make children SO HAPPY! Especially if said whacking results in a fabulous shower of sweets at the end. Ha. We saved our piñata until it was almost home-time and it made for a fabulous finale; ensuring every last bit of energy the kids had was used up during the whacking frenzy! 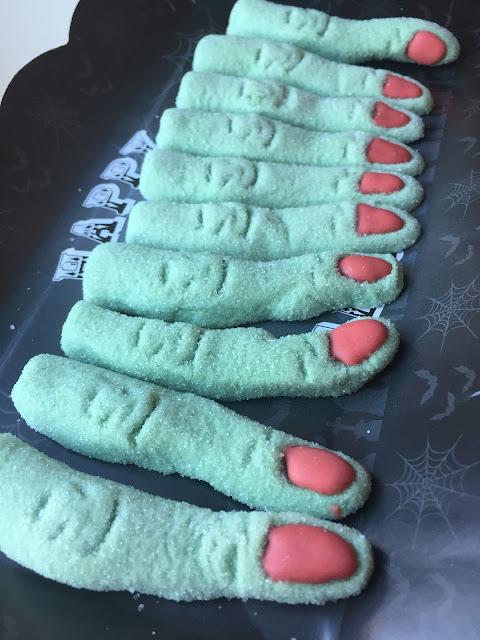 They packed their mouths (and pockets) full of the sweetie innards from the Witch, relished in smacking her hanging head (all that was left of her!) and then we gave out party bags before saying farewell. Now then, you may not agree with me - but I have a real 'issue' with party bags. I totally get the concept and I love the idea of the kids having a little something fun to take away with them after the party, but my experience of party bags to date is that they're usually full of rubbish toys and inappropriately aged sweets (choking hazards!) - the toys are broken within minutes (cue tears from child) and usually the sweets are eaten by my husband once the kids are in bed. I also dislike pink or blue party bag fillers - pink bubbles and fairy wands for the girls and blue bubbles and dinosaur figures for the boys! I have a boy that enjoys dolls and fairies just as much as dinosaurs, so I wanted to have gender-neutral party bags to avoid the pink or blue stereotyping I've come across so often. With this in mind, I was careful to choose party bag fillers that I'd happily receive myself as a parent. I think I was lucky that A) Party Pieces have an amazing array of affordable but good quality party bags and fillers and B) that also I had a clear theme to work with: namely Halloween. For the toddlers/babies (siblings of Bert's friends) instead of party bags I gave them a bag of Milkybar Buttons and a Milkyway bar each, so they had some sweeties to enjoy after the party. I used the finished party bags as part of the party decoration by displaying them in a glass trifle dish atop my dresser in the main party space, along with the baby/toddler sweets and a prize for the best adult dressing up costume: a super fun misfortune cookie by pech-kek. Along with the party bags, as mentioned earlier each child also took home their glass pumpkin drinking jar, any prizes they'd won during the party games, sweets from the Piñata and we also shared out some of the honeycomb paper pumpkin decorations (as we really didn't need 12 of them after the party had finished!) for the children to take home to decorate their own houses. I'm pleased to say that the party was an absolute triumph - the kids were amazingly well-behaved, they all played together so nicely for the whole 3 hours. Most of the food was eaten, the cake demolished, the games were all played properly and enjoyed by all. All of our guests had gone to so much effort with their costumes, which was much appreciated and helped to get us all into the spooky spirit. 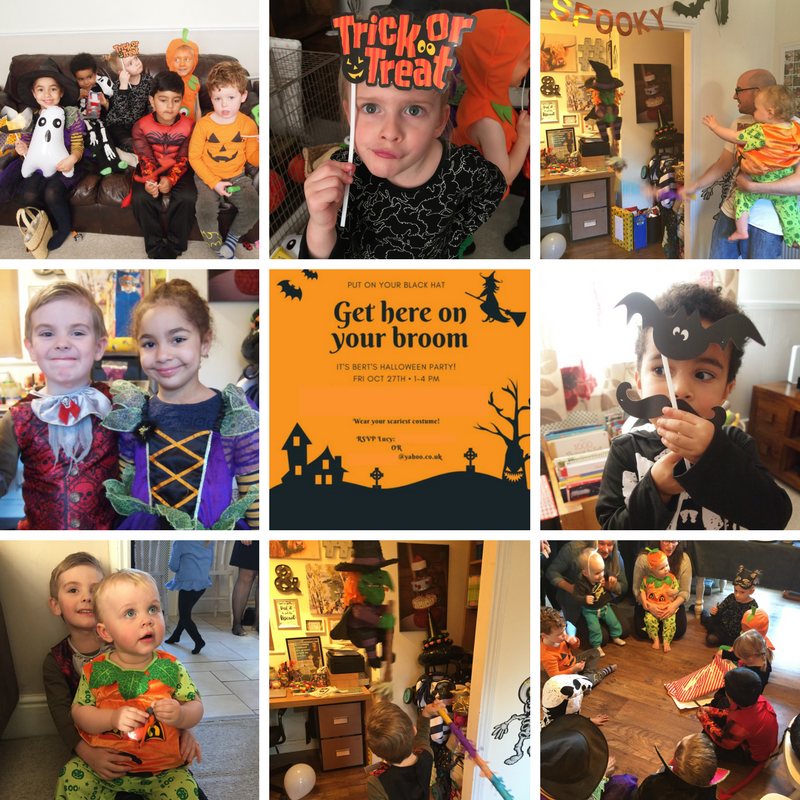 We all enjoyed a jolly and not too scary afternoon of fun and everyone went home with full tummies and plenty of goodies to enjoy long after the party ended. It was lovely to get to know some of Bert's sweet new friends and their lovely parents in a relaxed environment, where we actually had time to say more than just 'good morning' unlike at the school gates. As usual, I cannot fault the amazing products sent to us by Party Pieces, they made our party go off with a bang, meant it was a dream to plan and put together and added lots of extra-fun elements for the little people. If you're looking for party supplies, banners, tableware and even personalised party stuff then Party Pieces is definitely the place to go! 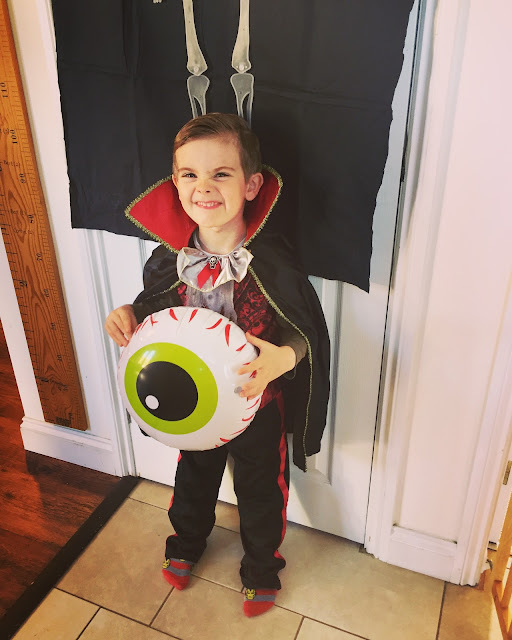 I have also found some really fun FREE online Halloween printables which would be perfect for those trying to do Halloween celebrations on a tight budget - look at these cool printable Halloween glowing eyes and these printable Halloween cake toppers, cool huh? Liam, Bert, Connie and I hope you have a spooktacular time, whatever you do to celebrate! We were sent a selection of Halloween themed party supplies in return for this honest review.